When visiting new destinations, do you forgo umbrella drinks and chain restaurants for off-the-beaten-path adventures and neighborhood eateries? If the answer is ‘yes,’ then you are part of one of the fastest growing trends in hospitality: travelers putting more weight in authentic encounters and immersing themselves in a destination. The numbers say it all: A study by the Harris Group found that 72% of millennial travelers would rather spend their money on experiences than material things. Given data points like these, it’s no surprise that hotels are rethinking the services and programs they offer, and the result is a fast-changing hospitality landscape. As one of the world’s top tourism and business destinations, South Florida is at the nexus of this shift. We looked at four different trends unfolding in our own backyard to find out how hotels are adapting their business models to cater to the new breed of traveler. 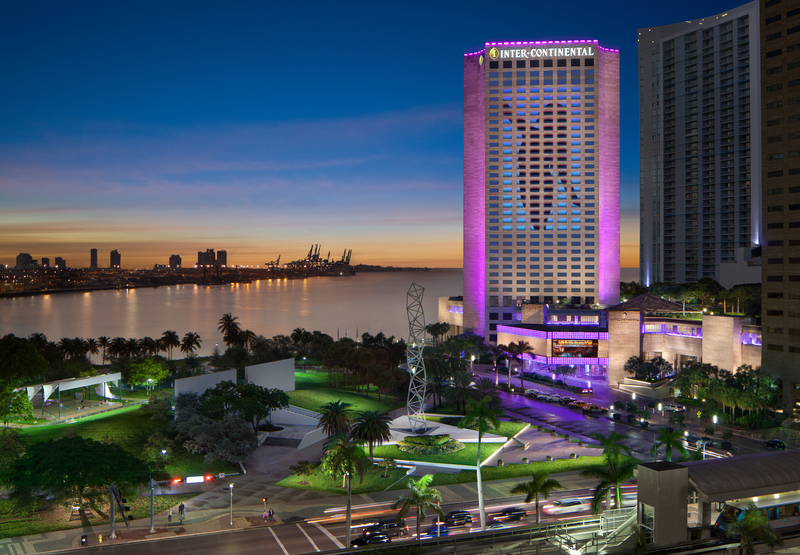 The InterContinental Miami has been a mainstay of the Miami skyline dating back to the 1980s. In recent years, the hotel has re-invented itself to emphasize its central location in the heart of Downtown and its accessibility to the City’s top arts and culture attractions. A focal point of this transformation is the hotel’s 19-story LED digital canvas, which has become a viral internet sensation the world around. Much more than a sky-high stage for Miami’s most famous dancers, the digital canvas is a reflection of a New Miami — one that’s edgy, innovative and cosmopolitan. It’s also valuable real estate that can be activated during in-house conferences and high-profile Miami events, such as Ultra Music Festival and Art Basel. Once inside, the hotel serves as an extension of all that Miami has to offer. Immersive programming such as Tapas y Vino happy hours and Salsa Nights on the rooftop pool deck have become popular among guests and locals, and a new year-long Destination Series in the hotel’s signature restaurant, Toro Toro, takes diners on a culinary journey through Latin America. Further up the South Florida coast, the newly renovated Westin Fort Lauderdale Beach Resort offers its guests a chance to tour all that the destination has to offer — by foot. The hotel’s weekly Funky Fun Run Club, a 5k run that culminates with a post-workout happy hour (featuring ice cold beer from Broward-based Funky Buddha Brewery, of course), is a chance for hotel guests to rub elbows with local residents while enjoying the City’s scenery and sampling the local craft beer scene. Miami is one of the most popular hotel markets in the world, which means the city often serves as a testing ground for new hotel concepts. Yotel, a British chain known for small, affordable rooms decked out with high-tech features, made waves this year when it announced that it would be opening its second U.S. location in Downtown Miami. South Beach’s Washington Avenue is also banking on smaller hotel units to help drive critical mass and draw a younger generation that prioritizes experiences. Moxy South Beach, a planned boutique hotel between ninth and tenth street, is specifically targeting millennials with smaller rooms and a greater emphasis on shared, common space. While some hotels are revamping their offerings to absorb guests in the local culture, others are building entire brands around it. Hyatt Centric is an off-shoot of Hyatt designed around guest exploration and discovery. 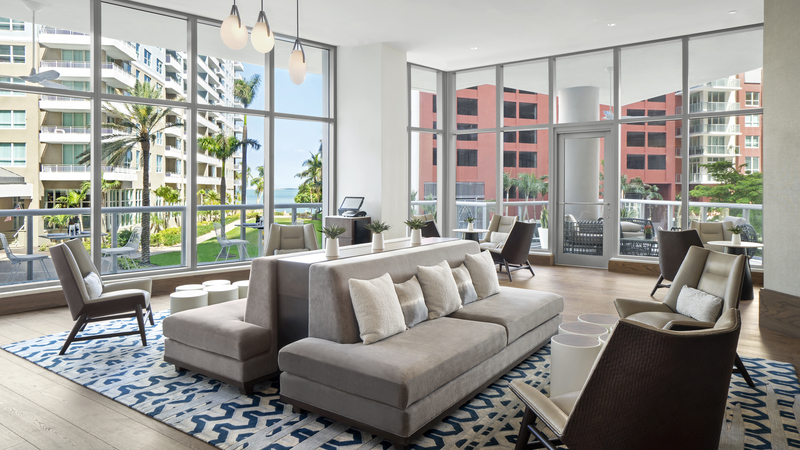 The brand launched its first hotel in Mainland Miami, Hyatt Centric Brickell, earlier this year. Hyatt Centric Brickell Miami curates authentic local experiences for modern explorers. 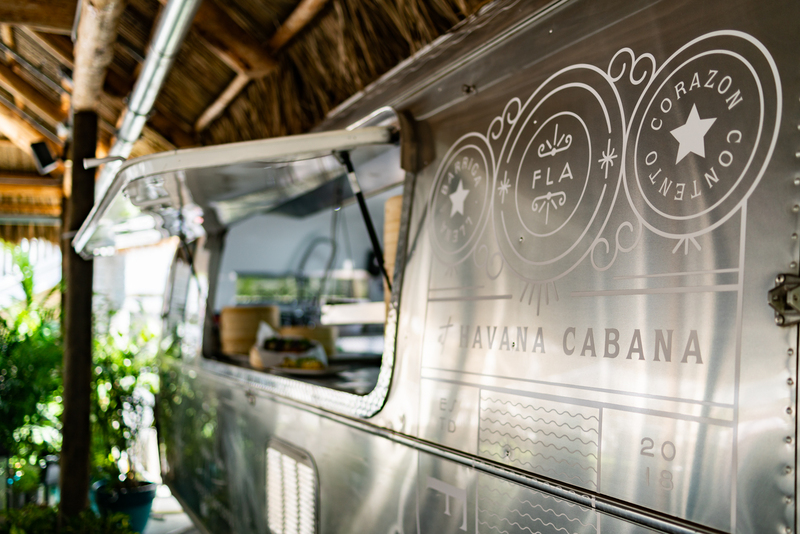 A team of local concierges can arrange everything from historic walking tours in Downtown, to tournaments in Little Havana’s Domino Park, offering guests a chance to experience an authentic side of Miami that’s often overshadowed by sand, surf and nightlife. The newest addition to Miami’s travel landscape is Europe’s citizenM brand, which recently announced plans to open a 348-room hotel at Miami Worldcenter, the 27-acre, $4 billion development now underway in the heart of Downtown Miami. True to form, citizenM credits its guests’ preferences as the driving factor behind its expansion into Miami’s urban core. “citizenM’s rollout strategy has always centered around following our guests – a group of modern travelers who frequent true live/work/play destinations within the world’s gateway cities,” said Ernest Lee, managing director of development and investments for citizenM Hotels. For many travelers, a hotel is simply a place to call home for a night or two. But for others, the hotel is an essential ingredient of the journey — an opportunity to escape to a new destination, or even a bygone era. Havana Cabana, Key West’s newest waterfront hotel, capitalizes on the Southernmost Island’s historic relationship with Cuba by transporting its guests to 1950’s Havana. From the ’57 Chevy greeting guests out front, to the Spanish guitar music, homemade pastries, fully-stocked mojito bar and hand-pressed Cuban sandwiches, this is as authentic as you’ll get without leaving the U.S.
For those guests who want to go the extra mile, the hotel can arrange tours of a rum distillery or a family-owned cigar factory on the island. And for the truly adventurous, scheduling an action-packed day trip to Havana is as easy as dialing up the concierge. Just don’t forget your passport!